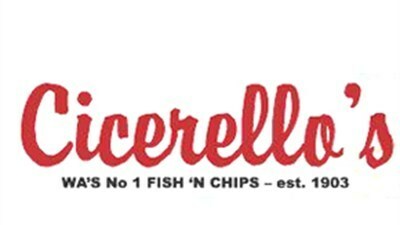 Every time my family visit Fremantle, we would go to Cicerello's for a meal or even just a coffee. Located right next to the water, Cicerello's indeed has a prime location. View of the harbour and the ships lining up can be quite a sight, especially when we bring visitors from out of town or overseas. However, that is not their only attraction for us. As a family with young kids, Cicerello's famous aquariums would indeed attract kids like a magnet. The main aquarium is teemed with marine life like lobsters, octopus, corals, anemones, and various fish including clown fish. I could only smile in indulgence when shouts of "Nemo!" were heard occasional in the restaurant. Visits to the toilet would allow you to view more aquariums, and at one point I had to stop my little daughter from venturing further into the Gents in pursuit of an elusive clown fish. Service is quite organised, with a beeper provided to every person ordering so that we don't have to stand at the counter waiting for our food. Instead, we could sit by the harbour, enjoying the breeze and the atmosphere while our meal is being cooked. Once your food is ready, you'd be faced with the question of sitting inside or outside? Outside, weather permitting, you could bask in the sunshine and feel the breeze fan your face at the same time. Beware of the birds though. Despite the barriers in the form of strings stretched above the seat areas, some seagulls still managed to get near enough to steal food from the plates of customers who might be too entranced by the view surrounding them. Some signs around this area would warn you not to feed the birds as they would S.O.Y (no prize for correct guess on what it stands for). Inside, you could sit right next to the aquarium, allowing you to continue your meal in peace when the kids are finished as they only need to turn around in their chairs to be entertained. However, it could be noisy with the throng of people queuing and ordering. And make no mistake, a throng of people is no exaggeration when it comes to meal times at Cicerello's, especially on weekends. Come to think of it, maybe at times like this you don't really have a choice of where you want to sit as you would just grab the first table that becomes available. The food itself I'd categorise as all right. It's not the best fish and chips I've ever tasted (although they claim to be WA's no 1 Fish & Chips). The chips are large and so tend to be soggy if not eaten immediately. If you're not into fried things, I'd recommend the chilli mussels. Use the bread provided to mop up the remaining sauce in your bowl. It is indeed the sauce that makes the meal.